The German hacker association Chaos Computer Club has published a fingerprint of the federal minister for the interior, Wolfgang Schäuble. The new issue of the club's magazine "Datenschleuder" even has a prepared foil in it that can easily be used to create a fingerprint dummy that people can stick to their own fingers (instructions). The CCC aims at forcing a more public and critical debate about the false sense of security when using biometrics. The European Union is already requiring every passport holder to give his fingerprints to the authorities. 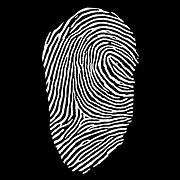 The German hackers now plan a whole collectors' series of fingerprints from politicians who push for more surveillance.